The task of evacuating people from entrapped high areas in any emergency is a difficult one, but it becomes even a harder task when those evacuees are infirmed or incapacitated is some way. 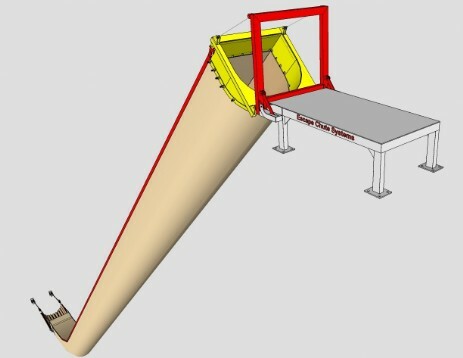 But by the use of an inclined escape chute it becomes a viable alternative. 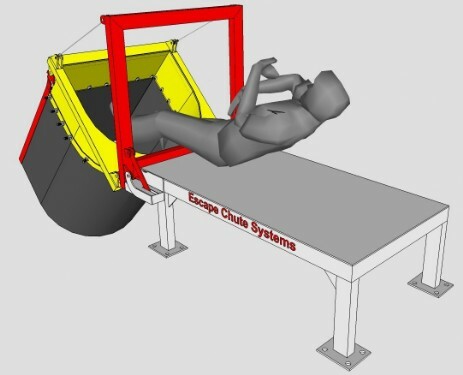 The use of a Vertical Escape Chute, requires pressure being placed on the inside of the chute, to control the decent speed, a action that incapacitated or infirmed evacuees may not be capable of achieving, but to slide down a chute on their backs is something that most would be capable of doing. 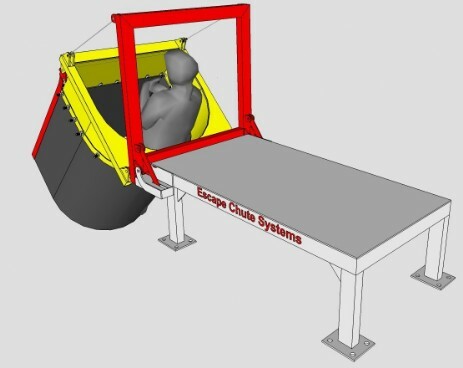 And for those that have problems in achieving this, a portable sled can be provided, where the evacuee is strapped in then sent down the chute under its own weight and speed. 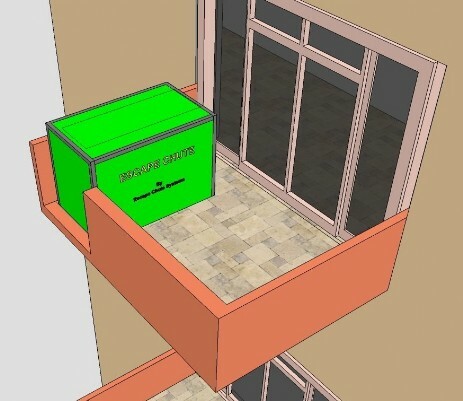 The above systems is shown being located on a balcony , the system can also be positioned inside the building, adjacent to an opening widow or doorway leading to the outside of the building. After the chute is deployed it is picked up by staff at ground level, then hooked up to a pre-installed concrete block with cast in hooking points. Chute tensioning is achieved by pulling the 50mm webbing tight, then using the two industrial ratchets to lock the achieved tension. 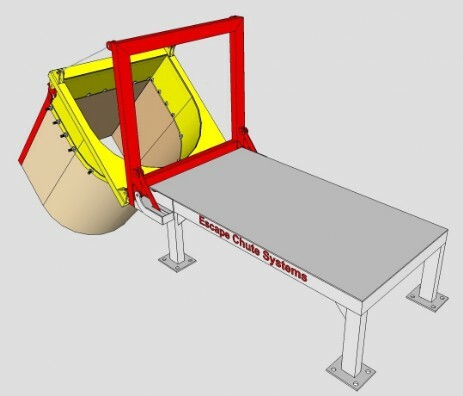 A padded section is incorporated at the end of the chute, for a more comfortable landing. then swings their legs up and into the chute. They then pull themselves forward, until fully inside the chute, and slide down to the exit point. 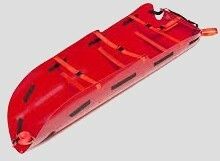 Below we show additional components sourced from specialist manufacturers of products to move patients around safely. 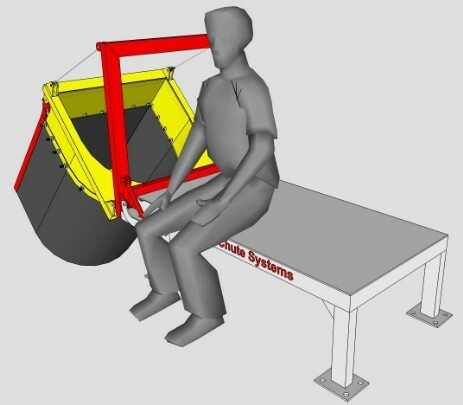 These products can aid in the safe use of the Chute Systems by disabled and infirmed evacuees.